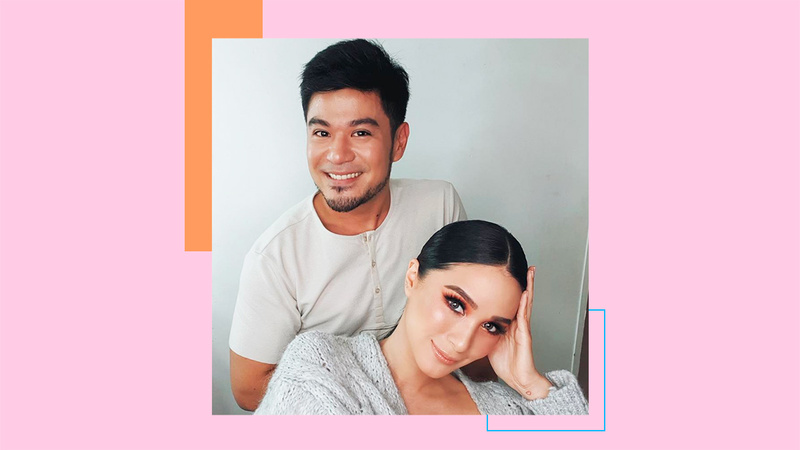 Heart Evangelista has been really busy this year. ICYMI, she's been posting a bunch of her new collaborations recently on Instagram. Here's a quick recap: First, it was her clothing line with local fashion brand, Kamiseta, called Love Marie x Kamiseta. Next, it was her new jewelry line with Royal Gem, which you can know more about here. This was then followed by a teaser (And sneak peek?) of her to-be-released bag line! And last night, she did it again. She shared that she has a new collab in the works with her longtime makeup artist and friend, Albert Kurniawan! She wrote in her post, "I've been working with @abtkurniawan for 10 years now! I'm beyond excited to be collaborating on something really special with him. Stay tuned." AHHHH! What could it be? Is it going to be a complete makeup line? Or just a lipstick? Or maybe it will be a line of brushes? We don't know about you but we'll monitor Heart's feed to wait for more clues about this collab.